Manufactured in Japon from 1988 until after 1991. 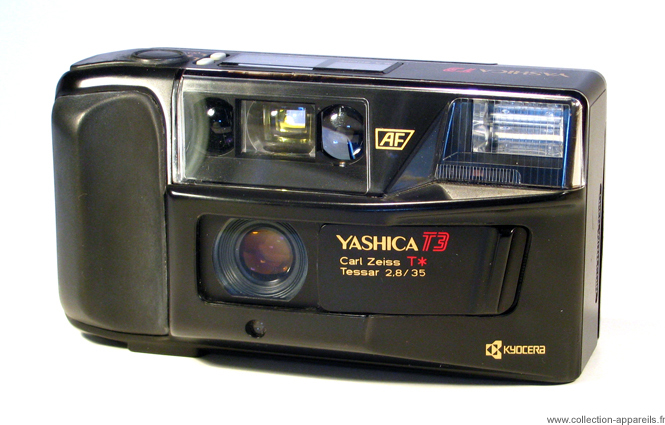 The T3 was launched in 1988, but one finds only rarely trace of this camera. The T3 Super of 1990, made more speak about him. Outwardly, except for the “Super” inscription, nothing does not seem to distinguish them. The only difference is that the T3 does not allow the shots uninterrupted. On the T3 a strange viewfinder of chest appears, called N.A. 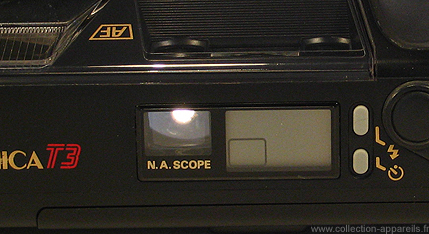 Scope, NA meaning “New Angle”. To use it, it is necessary to lean and be held to at least 20 cm above the camera to centre. Compared to T2, its lens is more luminous. The T3 is also water-resistant. Do not make diving with; that means only that it resists to the sprays.